At Elite Mobile Wash Systems we specialize in managing our client’s vehicles throughout the year on a repetitive basis. We offer full service cleaning plans weekly, bi-weekly, or on a once a month basis. We are completely mobile and come to you at the home or office to perform services. We are locally owned based out of Nichols Hills and have built a reputation for quality constancy and convenience. Our clients trust our team for the professionalism, quality, consistency and convenience to take care of their vehicles. "It's our privilege to attest to the quality service Elite Mobile Wash Systems has delivered to our family for many years now. Thank you for the value you offer our family and we look forward to years of great service ahead. Blessings! " 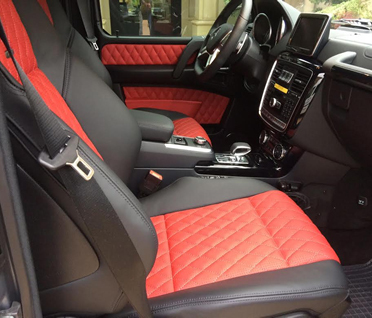 "Elite Mobile Wash Systems does an extraordinary job in detailing all of our vehicles. They are prompt, very courteous and go the extra mile to make sure our vehicles are detailed to perfection. I would highly recommend using their services. " "We have been very pleased with the professionalism of Elite Mobile Wash and the quality of their work. They even went above and beyond to help make Teacher Appreciation week special for our teachers at Casady School by providing car washes for all of our Primary Division teachers. It was a huge hit and the teachers loved it! I would highly recommend Elite Mobile wash for convenient and reliable ..."
"Elite Mobile Wash has been detailing various cars of various employees at our corporate office for more than 3 years and during that time I found them to be timely, fair in price and an excellent detailer of cars, trucks and SUV's. Their character and professionalism is impeccable and I highly recommend them should you need their services. " "I've used Elite Mobile Wash on a regular basis for multiple vehicles for well over a year now, and the staff has always been professional, flexible, and on-time. I'm always very pleased with the work, as well as the price, and would highly recommend Blake and his team to anyone. "